Taokaenoi seaweed is not only popular among Thais but also very famous among Chinese. Exports reached 60%, Chinese market 30%, domestic 40% that shows this brand has potential to grow globally. In Asia this brand has become a Regional Brand, with experience for more than 10 years. Next plan for Tob -Itthipat Peeradechanpan, CEO of Taokaenoi Food & Marketing PCL is going to be a world-class brand in the next 10 years with the sales of $1,000M or THB 30,000M. With company potential, Taokaenoi has developed and created its own value, not only seaweed snacks, but the company also plans to bring its vision to be a marketing strategy in order to reach its target as Global Company with $1,000M in sales and be ranked in Fortune 2000 as one of the world’s leading companies. Although this seems far ahead, the plan and strategy will be launched in 2019. Additionally, its vision will be added the brand value in to company’s strategic plan as it is an important tool to create loyalty consumers. This will play a big role in expanding its product lines as it is one of the ways to reach its goal as Happy Company. 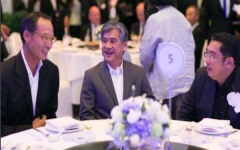 Before announcing its visions in 2019, these are things that Taokaenoi will do to reach its goal as Global Company..
1) Invested in GIM Factory Inc. which is a registered company in California, United States, manufactures and sells organic seaweed. It produces 2 types of roasted seaweed with capacity of 101 tons per year. 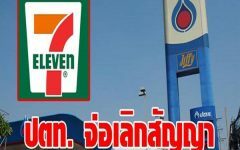 The company has invested since November 2017 by purchasing 31,000 shares worth of THB 68,655,985.26 or $2,015,000 and later changed the name to “Taokaenoi USA Inc.” Business expansion plans in the United States expecting to start next year. Snacks market in the United States values more than $30,000-40,000M per year. If this plan becomes successful, Taokaenoi would be able to expand to other regions. They are hoping to make sales of $2,000M by 2024. 2) Bringing Taokaenoi Land PLUS to Top of mind for souvenir shop. Currently there are 20 branches of Taokaenoi Land with more than 1,000 products offered to tourists. The popularity of Thai products among the visitors: food, herbs such as balm, cosmetics, beauty, and personal items, will definitely be bought. 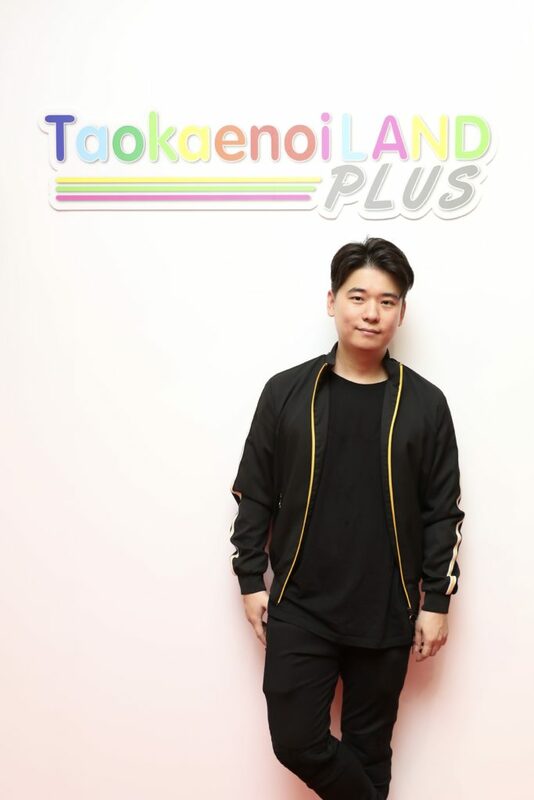 Realizing this opportunity together with Taokaenoi brand, the company launched Taokaenoi Land PLUS, the first store at Center Point Siam Square to sell souvenirs and other Thai brands to foreigners with more 1,000 items such as cosmetics, food, medicines, hears, spa products, etc. 3) Expanding to Japanese QSR in order to reduce the risk of depending on Chinese tourists. This creates new market opportunities and expends portfolio not just selling seaweed snacks into fast food restaurant or QRS, it is a big market, and worth billions. Thais’ s behaviors tend to eat outside as they have hectic lifestyle. At the end of this year, The company will open a Japanese fast food franchised restaurant, it is a chain restaurant that serves food, sweet and drinks. If successful with the first trial in Bangkok, next year they will focus more on this path. 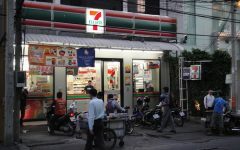 The QSR business is a one of the rink management plans in their marketing, Taokaenoi relies heavily on Chinese customers, and this market is down at the moment. Even though it has small impact on the company but in the long run, risk management is required. That is why, it is expanding into other tourist groups such as Vietnam, Singapore, and Taiwan and expansion into other businesses.